James Rosen: With his latest claim of progress in the advance of its nuclear program - specifically, that Tehran is now producing nuclear fuel on an "industrial scale," a claim discounted by most foreign governments and private-sector analysts - Iranian President Mahmoud Ahmadinejad on Monday once again sought to up the ante in his country's long-running standoff with the West. The claim came, moreover, just days after the release of fifteen British sailors and marines taken captive at gunpoint by Iranian naval units on the high seas and held for nearly two weeks.The news out of Iran thus raises many questions: How believable is Ahmadinejad's latest claim of nuclear progress? How deeply involved in the nuclear program are Iran's armed forces? To what extent have inspectors from the United Nations' nuclear watchdog agency, the International Atomic Energy Agency, or IAEA, been barred from relevant sites? What was the true goal of - and who gave the final orders for - the operation that seized the British sailors and marines? How much support does Ahmadinejad enjoy from Iran's Supreme Leader, the Ayatollah Ali Khameini? And are there, as British Prime Minister Tony Blair claimed, new and interesting lines of communication with elements inside the Iranian regime that the West should be pursuing? FOX News State Department Correspondent James Rosen explored these and other questions with FOX News contributor Alireza Jafarzadeh, an Iranian dissident and former official with the National Council of Resistance of Iran, and the author of "The Iran Threat: President Ahmadinejad and the Coming Nuclear Crisis." James Rosen: What is your understanding of what the Iranians actually announced today? Because I just watched Sean McCormack's briefing at the State Department, and he was saying "We're not exactly clear on what they're actually saying." What is your understanding of what they were saying? Alireza Jafarzadeh: Well, the announcement that came from Iran was basically bits and pieces of a larger announcement. They said in a vague way at the beginning that they have the ability to enrich uranium [at an] "industrial level," whatever that means. Then they announced later that they have actually installed as many as 3,000 centrifuge machines in Natanz. And once they were asked whether they have injected uranium hexafluoride [gas] into the machines, they basically said "Yes." James Rosen: That was [Ali] Larijani? Alireza Jafarzadeh: That was Larijani, right....What the Iranian regime announced today, which was basically installing 3,000 centrifuge machines and making them operational in the large cascade halls in Natanz basically corroborates with what I've been hearing from my sources for a long time. My sources told me last year that Iran has as many as 5,000 centrifuge machines ready to be installed in the large cascade halls. And what Tehran announced today corroborates with those sources. We know for a fact that Iran has been installing those centrifuge machines for months in the large cascade halls; so it is conceivable that what Iran announced is correct — that they have installed 3,000 centrifuge machines and made them operational for what they call enriching uranium to peaceful levels. James Rosen: When someone like Larijani says that they have fed the feedstock into the centrifuges...inserted the gas into the centrifuges, that doesn't mean necessarily that the cascade is operational. You can insert the gas and it might work and it might not work, true? Alireza Jafarzadeh: It is true. It is possible that there are some technical obstacles that they would still need to overcome. But to the best of my understanding, the regime has already had the ability to run cascades of 164 centrifuges on a couple of cases before, and they don't have a major obstacle that they really need to overcome. They have all the necessary ingredients to really put together the centrifuge program. They have the expertise, they have their experts to do it. They have the equipment. They have all the resources that's needed for that. So whether it's true or not today, it will definitely be true in weeks from now. So we need to be really concerned about what it means, you know — Iran running 3,000 centrifuge machines with the ability to enrich uranium. It would really put the regime one significant step closer to building the bomb. Because once Iran has the ability to enrich the uranium to what they call a peaceful level, they're only a screwdriver's turn away from enriching it further for the bomb. James Rosen: You mentioned that your sources tell you — have been telling you for some time — that they [the Iranians] have 5,000 centrifuges set up. This regime doesn't seem shy about making the grandest claims for itself; so if they have 5,000 centrifuges up and running, why wouldn't they say 5,000? Why would they scale it back and just say, "We have 3,000"? Alireza Jafarzadeh: Well, my sources were telling me they have 5,000 centrifuge machines ready to be installed. Now how many of them have been installed, it's yet to be determined. The regime claims today that they have installed 3,000. They haven't said that they don't have more than 3,000; in fact, Iran has said that they're planning to install as many as 60,000 centrifuge machines in the two large cascade halls in Natanz, which are actually underground facilities. Iran has the ability to build its own centrifuges. They are building most of the parts in Isfahan and in Tehran, and they import the engines from abroad. James Rosen: Alireza, one of the questions that always comes up when the subject of you comes up is: We all know that the United States suffers from a deficit of reliable intelligence coming out of Iran, in terms of what they call "human intelligence," "signals intelligence." I suppose we do better on signals intelligence because we have the satellites and we have the National Security Agency , we have that kind of technology. So the question that arises about you, and the claims that you make, your organization [the National Council of Resistance of Iran, which Jafarzadeh formerly served as media relations director and chief liaison for Capitol Hill] — even though we know that you have been correct in the past — is: If the resources of the United States government are not sufficient to enable us to really put people on the ground in Iran, or to get the kind of intelligence we need from the ground in Iran, how is it that a group that is much less well-funded than the United States of America, your group, can develop intelligence about these matters and succeed in extracting it from the country? How is it that a group that has not got the funding available to it that the United States of America has available to it can succeed where the United States has failed in this regard? That's — do you understand the question I'm asking you? Alireza Jafarzadeh: Absolutely. The reason that the main Iranian opposition, known as the National Council of Resistance of Iran, has been able to come up with much more valid and accurate intelligence about the nuclear weapons program of Iran than all the other intelligence agencies around the world is that they are present in Iran. They have an extensive network inside Iran, within the Iranian regime, that has direct access to information not only on the nuclear weapons program of Iran, but on a lot of other activities of the Iranian regime in terms of terrorism, what the regime is doing in Iraq, and in terms of its missile program. So it's that kind of an extensive, widespread presence in Iran that there is no other replacement for it. No signal intelligence, no equipment, no satellite imagery can replace an extensive Iranian opposition network inside Iran, within the regime, that can provide information to the whole world about the program, about the intentions, about what's going on in those buildings, what are their plans, and what goes on in the minds of the Iranian ayatollahs, what their bigger ambition is, in terms of trying to get these bombs. James Rosen: But to provide that information requires a means to provide it, whether it's e-mail, telephone. There aren't that many ways to get this information from those buildings to Washington, DC. and presumably the United States — and presumably it involves electronics. And so how is it that you're able to manage that, and the United States, with its extraordinary signals apparatus, doesn't get it first, even before you get it? Or as you're getting it? Alireza Jafarzadeh: Well, that's the $64,000 question that the Iranian regime has [been] trying to — I think more important than the intelligence agencies is the Iranian regime itself is trying to find out, you know, where the leaks are and how this valuable, most crucial intelligence is consistently being exposed by the main Iranian opposition, the National Council of Resistance of Iran, over the years. And Tehran has not succeeded in cutting the flow of intelligence outside of the regime. James Rosen: Has a single person that your organization has relied upon been exposed and punished by the regime? Once? Has there been a single case of it? Alireza Jafarzadeh: There has [sic] been a number of occasions that Tehran has announced that they have actually arrested, identified and arrested, the sources that led to intelligence regarding Natanz, Arak, a number of other nuclear sites. But that turned out to be not true. And in fact further information was revealed right after Tehran's "successful" announcement that they have arrested the sources of intelligence. So clearly the Iranian opposition network in Iran as of now has remained intact and has been extremely effective in exposing a whole host of rogue behavior of the Iranian regime, both in terms of the nuclear program and also what Iran is doing in Iraq. James Rosen: [...] Is it a difficulty for you in trying to sound the alarms about the Iranian system — although I think the world is pretty well sufficiently, now, much more so than they were in 2002, attentive to the threat posed by Iran — but is it a problem for you and your organization as you go about your work that the American experience in Iraq, and WMD, and Ahmed Chalabi, and the rest of it — you know, are you constantly finding that you are likened to Chalabi? Like, "Oh, we had expats — expatriates from Iraq who were telling us all sorts of things about the Iraqi weapons program to get us to go to war and to topple that regime, and we did so on their word, and, you know, look what happened: There were no WMD. Why should we believe an Iranian expatriate group that, you know" — and I know you've already had some record of success, at Natanz. But are you finding that that's a problem for you? That kind of suspicion [after] the Chalabi experience? Is that something that you hear about a lot? Alireza Jafarzadeh: Well, the Iranian opposition is not comparable to Ahmed Chalabi and the INC — because Chalabi was being supported, funded and sponsored by the U.S. government. He wanted to push for the war against Iraq. Unlike that, [in] the case of the Iranian opposition, they have not been supported by the State Department. Not only that, they have been designated as terrorist[s] by the State Department as a means to make overtures to the Iranian regime. Their funds were frozen by the State Department, and they're not calling for war. They are saying we should stay away from the war and we should reach out to the Iranian opposition. Let them settle their course with the Iranian regime, and let them overthrow the ayatollahs, as the situation inside Iran is very volatile. There were some 4,800 anti-government demonstrations in the past Iranian year, from March 2005 to March 2006 — from March 2006 to March 2007. So that's a very, very serious situation that needs to be exploited. James Rosen: Tony Blair said after the sailors were released that some "new and interesting lines of communication" had opened up between the British government and elements inside the regime, and that he thought that they should be pursued. I, moreover, heard from my own British government sources that their own estimate of what happened in this whole affair was that one of the consequences will be that Ahmadinejad's standing with the Supreme Leader has been damaged by this. Do you see: a) new and interesting lines of communication being opened up with elements of the regime and the West? and b) that Ahmadinejad's standing suffered with the Ayatollah as a result of this? Where do you see the relationship between the Ayatollah and Ahmadinejad? Alireza Jafarzadeh: Well, the whole hostage-taking of the fifteen British sailors, if you will, by the Iranian regime was approved by the Supreme Leader and Ahmadinejad and carried out by the Iranian Revolutionary Guards and its navy. James Rosen: How do you know that? Alireza Jafarzadeh: My sources inside Iran are telling me that the whole operation was pre-planned from weeks in advance. From days before, top commanders of the Revolutionary Guards were briefed; they went to Tehran and were briefed. The night before the operation, the command headquarters for the Third Navy, which is responsible for that part of the Persian Gulf, was on full alert in Khoram Sha'ar [phonetic] and the top commanders of the Revolutionary Guards were in constant communication with Tehran to carry out this operation, to take the Brits as hostage, in order to accomplish what they wanted to accomplish with the Security Council, at the United Nations, and with what Iran is doing in Iraq. They wanted to use this as a means to intimidate Great Britain, to get even with them, and to make sure that when future resolutions are introduced at the United Nations Security Council, they will not be as tough. And then [the] Iranian regime's agents, who were arrested by Americans in Iraq, would not be punished, would be released, and future arrests would not take place. This was the whole purpose behind this. Therefore, there is no rift, really, between Ahmadinejad and Supreme Leader Khameini. And I would be very, very skeptical about any line of communications that is opened as a result of this hostage-taking, because it would only be counter-productive. It would only further encourage Tehran to use terrorism as a tool to pursue its foreign policy. James Rosen: You don't think it's possible that once this event was upon us, there were some elements in the Iranian regime that differed with this whole thing and wanted to see a swifter resolution, and might be worth trying to cultivate? Alireza Jafarzadeh: Well, this whole effort, trying to cultivate some "moderate elements" within the Iranian regime has run its course. We had Rafsanjani, who was a so-called moderate during the Iran-Contra affair, and we know what happened: He became president for eight years. And then Khatami succeeded Rafsanjani, who was perceived to be even more moderate than Rafsanjani. Yet the main nuclear sites were built under Khatami; the missile program was developed significantly under Khatami; and the terror network of the Iranian regime got a major boost under the so-called "moderate" Khatami. So these imaginary moderates that people are trying to reach out to are actually the terrorists who are sidelined by the ruling faction, and once they are in power, they would do the same thing. So the real opening should be with the Iranian people, the opposition — the sources inside Iran who want to reject the regime in its entirety. And that's the majority of the population that has not been explored by the outside world. James Rosen: You don't see any evidence that the Supreme Leader has at all, in recent months, soured on Ahmadinejad, in terms of some of the editorials we've seen in state-run media and some other sort of — you don't see any of those tea leaves? Alireza Jafarzadeh: There is, there is — I have not seen any evidence that suggests that the relationship between Ahmadinejad and the Supreme Leader has soured. In fact, Ahmadinejad enjoys more support from the Supreme Leader and the Revolutionary Guards than he ever did. So no one should really count on some kind of a rift within the regime which you can exploit and see a change in the behavior of the Iranian regime. We have to understand that the clock is ticking; time is running out. The Iranian regime is moving forward very rapidly, trying to get the nuclear bomb, as rapidly as possible. It's intervening in Iraq in the most violent way, trying to turn Iraq into an Islamic republic. We need to see a policy in Washington than will be significantly different than the policy pursued for nearly two decades by the United States regarding Iran. We need to abandon all the bits and pieces of the policy of appeasement and adopt a very decisive approach regarding Iran. James Rosen: What you're saying about, you know, the search for elusive "imaginary moderates" — does that all go for Larijani as well, by the way? Alireza Jafarzadeh: Absolutely there is no foundation to that. Larijani has been working hand-in-hand with Ahmadinejad. In fact, Ahmadinejad worked for Larijani for some period of time, and they've been close allies, working together, and they come from the same school of thought. They belong to the same faction within the Iranian regime, and they both want to boost the status of the Islamic Revolutionary Guards Corps [sic], who are basically dominating the whole regime right now. James Rosen: Last question: When someone wants to gauge the status of the American economy, they can look at — we used to look primarily at unemployment: What's the percentage of unemployment? Is it five percent? Is it four percent? In more recent years, people have tended to look at the number of jobs created in a given month. So there's any number of indices by which to gauge, say, the economy of a country. Likewise, there are any number of indices by which to gauge the progress of the Iranian nuclear program. And one of the ways, it seems, that everyone's focused on is the number of centrifuges, the number of centrifuges. I wonder if you could tell me: Is there another way — are there other ways to gauge the progress of the Iranian nuclear program that people aren't paying attention to, but they ought to be? Alireza Jafarzadeh: Absolutely. I think one aspect that we need to carefully look at is the role of the Iranian Revolutionary Guards in the whole nuclear weapons program of the Iranian regime. Anywhere in the world, once you have [the] military involved in a so-called peaceful nuclear program, that's a red flag that we are talking about a nuclear weapons program. In the case of Iran, it's the Revolutionary Guards that is actually dominating the whole program, especially since Ahmadinejad took office. A number of major nuclear sites are actually military sites run by the Islamic Revolutionary Guards [sic] that have been off-limits to the IAEA. James Rosen: Which are? Which include? James Rosen: Is that the Physics Research Center you're talking about, or is that a different place? Alireza Jafarzadeh: No, that's a different place. That's a university run by the Iranian Revolutionary Guards known as Imam Hossein University that has [an] extensive research and development program. Top nuclear scientists of the Iranian regime that are also supposedly by the Atomic Energy Organization of Iran are actually working in that military university and they are in charge of [the] extensive research and development program there. James Rosen: You mentioned Lavizan. Did you mean I or II? James Rosen: It was razed. Alireza Jafarzadeh: It was razed. But Lavizan II is a nuclear site. It's a military site. It has been off-limits to the IAEA. The site in Parchin: There are a number of various kinds of nuclear activities in Parchin and it has been inspected only once, only a very limited part of Parchin, and then the IAEA was not allowed to that site. So in terms of inspections, a good number of sites have been off-limits to the IAEA. James Rosen: Thank you very much. Alireza Jafarzadeh: Thank you, thank you. Trace Gallagher: And breaking today, the world has spoken, “No nuclear weapons,” those words from President Bush. He warned its time to beef up sanctions against Iranian for ignoring the demands again and again; all this coming as the UN’s nuclear watchdog warns Tehran has made dramatic progress is its enrichment capabilities. And right now, just off Iran’s coast, nine US warships packed with seventeen thousand sailors and marines are conducting war games within striking distance of Tehran. With us now inside studio, Alireza Jafarzadeh, he’s a FOX News foreign affairs analyst and author of The Iran Threat: President Ahmandinejad and the Coming Nuclear Crisis. And coming nuclear crisis seems to be closer every day because he won’t listen, and these sanctions just have no teeth. Alireza Jafarzadeh: You’re absolutely correct Trace. I think the experience of the past four years has basically shown that all the efforts that the IAEA and the International committee has done, including the EU3, trying to negotiate a settlement with Iran has basically failed. Alireza Jafarzadeh: Well that’s exactly what Tehran wants to do; they want to say “Okay, you have to live with our nuclear capabilities.” Remember, four years again when this whole thing started, when I first revealed the nuclear sites in August of 2002 in Natanz and Arak, Iran didn’t really have this level of capability, yet the negotiations by the EU3 and the IAEA provided Iran with the opportunity to complete its nuclear program, and now, they are really far more advanced than people thought. They have at least sixteen hundred centrifuge machines in operational mode and that’s very dangerous. Trace Gallagher: So you tell me, he defies the UN; he takes hostages of Iranian Americans and British sailors. You tell me what the last straw is? Alireza Jafarzedeh: Biggest destabilizing source, killing the soldiers there, in fact the most deadly weapons, roadside bombs known as the EFPs, are built in Tehran by the Iranian Revolutionary guards, the Qods Force, and sent across the border provided to the Iranian regime’s proxy groups. So Iran—the Iranian regime—has already made up its mind on what it wants to do with the rest of the war. Trace Gallagher: Defying to the end. Alireza Jafarzedeh: Defying to the end. They want to turn Iraq into an Islamic Republic. They want to get the nuclear weapons as rapidly as possible and then use that as leverage to expand their ideology in the region. They believe in the global Islamic rule. That’s why we need to pursue a totally different approach now. Trace Gallagher: So while we talk talk talk, and I’ve got about fifteen seconds left, we talk talk talk, and when’s the time for action? Trace Gallagher: They are already fed up, right? Alireza Jafarzadeh: They are already fed up, I think what we need to do is change the policy to stop hindering the efforts of the Iranian opposition and putting more pressure on the Iranian regime to change the balance. Trace Gallagher: Alireza Jafarzadeh. Great to see you. Julian Philips: That is the question, how far would the US go to stop Iran from developing a nuclear weapon as we are talking about. Kiran, one report suggests that the military may have war on its mind. 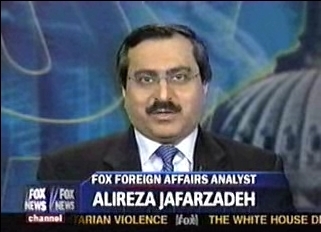 Kiran Chetry: Coming reaction is now from Fox News Foreign Affairs Analyst Alireza Jafarzadeh. He joins us from DC this morning. Good to be with you and the White House reaction to this article which says there has been some planning phases going on right now, possibly bomb Iran preemptively. What do you think about that? Alireza Jafarzadeh: Good morning. Well, the President of the United States has said repeatedly that all options are on the table and I am sure Pentagon has always had countless plans for different contingencies. But I think the real issue now is that—the reason we see all this news is that—there is concern in Washington that there is a race between two clocks in Iran. One is the nuclear weapons clock operated by the Iranian regime, sped up by the new radical president Ahmadinejad and the other one is a regime change clock that is operated by the Iranian opposition. And the concern is that the ayatollahs will get the bomb before the regime is changed. However, I don’t think this military option is a viable option. Alisyn Camerota: why not? I mean lots of people are saying that diplomacy is not a viable option when you’re dealing with president Ahmadinejad and in fact the military option, bombing some places where parts of the bomb would be stored is really the only option. Alireza Jafarzadeh: well, I agree with those who say diplomacy is really not a viable option either. However, there are others in Washington who are gaining momentum in saying that there is a third option, that is neither tied to infeasible military attacks nor failed diplomacy and the third option is to empower the Iranian people, the Iranian opposition to change the regime from within and that’s what I see in Washington gaining momentum because the Iranian population are opposed to the Iranian regime. Iran is very different from Iraq and a number of other countries in the region and the population—especially the younger generation—is very much opposed. There is a viable opposition, very powerful, very strong, very defiant of the ayatollahs, very well organized and this is the opposition that actually revealed all the major nuclear sites of Iran and that’s what some in the administration and outside of the administration are thinking about it. Julian Phillips: We have to be very careful about this because they may be opposed to the current regime but what are they in favor of? I guess that is the question that I have. Alireza Jafarzadeh: Well Julian, the opposition has made it very clear that they are in favor of a secular democracy in Iran. They want freedom of speech, freedom of press, freedom of political parties, equal rights for men and women. In fact the opposition is led by a woman. They want to live in coexistence with international community. What the Ayatollahs are saying has nothing to do with the Iranian population. Ahmadinejad represents the regime but not the population and that’s why many in Washington are shifting away from Ahmadinejad and away from a military option and more toward the option of supporting the opposition to bring about change in Iran. Kiran Chetry: My other question from the article which talks about other nations. What I have always wondered is why is it that it seems that the Bush Administration or America in general, it seems largely more concerned about this threat than the United Nations, the IAEA, other major international players who I think should be concerned as well. Alireza Jafarzadeh: I agree with you Kiran. I think a number of other countries; many Europeans who have had many economic dealings and economic interests in Iran are unwilling to take this nuclear issue very seriously. It was EU-3 that was involved in negotiations with Iran. A number of Arab countries have been silent mostly because they were afraid to intimidate Iran. But I think the situation now is far beyond the point that we can see inaction. Everyone has to take it very seriously. Iran’s nuclear weapons program is extremely advanced. They have all the necessary ingredients to really put together the bomb. They have the enrichment facility, they have the technology, and they have the experts. The program is increasingly moving underground into tunnels. It’s been controlled by Iran’s Revolutionary Guards and the reports I am getting from my sources inside Iran says that the program is anywhere from 1 to 2 years away from giving Iran the capability to have the nuclear weapons and this is not enough time. I think we are already behind and we have to catch up and we have to do anything possible to see a major change in attitude. I have to emphasize here that Ahmadinejad’s mission is to give the Ayatollahs their first nuclear bomb at any cost. So, no negotiation is going to abandon Iran’s nuclear weapons program. Kiran Chetry: If that’s true, then that just boils out of water every other theories about what their intentions are. Alisyn Camerota: Alireza Jafarzadeh, thank you so much for joining us with all the input. Very interesting what he said. Because it is actually more of optimistic feeling that if diplomacy isn’t going to work, if they are a year or two away, as he said from getting nuclear weapons and if we are not going to bomb them, well then the only other option, which he is saying, is to foment this opposition which actually is more peaceful. Shepard Smith: Well the United States now reports it’s one of the top state sponsors of terror and is determined to become a nuclear power. Today, word from Iran’s president, Mahmoud Ahmadinejad, that its atomic program is almost there, in his words, translated. Now here in Studio B is Alireza Jafarzadeh. He is Fox News’ Foreign Affairs Analyst and author of a brand new book: The Iran Threat: President Ahmadinejad and the Coming Nuclear Crisis. Is it here Alireza? Alireza Jafarzadeh: Well the crisis is here, already. I think ever since Ahmadinejad took office as the new president. He’s intent on getting the Iranian regime its first nuclear bomb and also turns Iraq into an Islamic republic and I think he’s on schedule. Shepard Smith: For both things? Alireza Jafarzadeh: For both things. Shepard Smith : Alright, I want to talk about the two of them and popular resistance inside the country. But first, is this a foregone conclusion? Is there a fait accompli here? Are they stoppable? Alireza Jafarzadeh: I think they are stoppable. Shepard Smith: Well then how? Just by sitting down and talking? Shepard Smith: They run the place anyway don’t they? Alireza Jafarzadeh: They run the place anyway, they want to get the bomb at any cost. They feel that the international community is not decisive enough. Therefore they can get away with violating their own commitments with the Nuclear Non-Proliferation Treaty. Shepard Smith: You know what maybe we should do quickly? Let’s back up and explain what an Ayatollah is and does. Alireza Jafarzadeh: Well the Ayatollah has an agenda in Iran to suppress its own population. But also, it has a global agenda to establish a global Islamic republic elsewhere. Shepard Smith: Yet with oil in their palms. Shepard Smith: Is it like a religious mafia sort of controlling the people? Alireza Jafarzadeh: They are using religion to run their own mafia network. It really, in reality, has no basis in the religion. Islam is not a religion of violence and intolerance. Shepard Smith: And Ahmadinejad is what in relation to them? As president he is what? Alireza Jafarzadeh: He runs their operation. Shepard Smith: He runs the operation for the Ayatollahs. Alireza Jafarzadeh: For the Ayatollahs. He is their president: he carries out their operations, their messages, and he has been groomed by the Ayatollahs. I went into his own history in my book extensively how he was groomed by the Ayatollahs, especially by the Iranian Revolutionary Guards for many years before he became president. And he believes in the establishment of a global Islamic rule: that was his campaign message during the presidential elections. Shepard Smith: Of course, and yet, when we look back just a few short years, just before this crisis with Iraq, all you heard from inside sources in Iran was this popular movement against an Islamic regime and for power to the people. And we heard so much about how they might be able to rise up with a little help. Where are we now? Alireza Jafarzadeh: Well the problem is that the Iranian regime badly suppressed the Iranian population. The Iranian population got not support from the international community. Shepard Smith: And I wonder why that is. We were busy with something else kind of, maybe a war in Iraq. Alireza Jafarzadeh: Absolutely, in fact when the nuclear sites were revealed by the Iranian opposition in August of 2002, instead of focusing on the threat from Tehran, the whole world was preoccupied with the coming crisis in Iraq. So the Ayatollahs got away with that. Shepard Smith: Can that uprising of, by, and for the people, can it be supported now to a degree to which it might be helpful within the country and the region? Alireza Jafarzadeh: I think it has to. Alireza Jafarzadeh: Beca use first of all there were some four thousand anti-government demonstrations in the past one year. 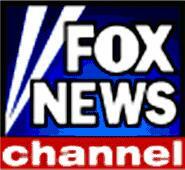 Shepard Smith: Never hear about them. Alireza Jafarzadeh: Major upheavals in the southern province Khuzestan, northwest of Iran Azerbaijan, the capital Teheran. The younger generation of Iran are vehemently opposed to the Iranian regime. There is an organized opposition both inside Iran that is responsible for some of these revelations, but also outside of Iran. Shepard Smith: Much like people may understand Cuba and the resistance here in south Florida. Alireza Jafarzadeh: I think it’s much further than that. Shepard Smith: But that kind of thing. Shepard Smith: It will just fix itself? Alireza Jafarzadeh: It will fix itself or they can find a way of negotiating with the Ayatollahs, that they would eventually be able to change the behavior of the Iranian regime. They tried it for eight years under Khatami, the previous president. And they still haven’t given up with this new president, Ahmadinejad. And I think with the prospect of a nuclear Iran, with what Iran is doing in Iraq, we cannot afford not pursuing a whole new policy that will be focused on empowering the Iranian opposition, removing all restrictions from them, and letting them settle their case with the Ayatollahs. Shepard Smith: A fascinating take on it all, the book, for those of you interested in the Iran crisis man alive if you’re a student of politics or international politics and all the threats that come, this is one to pick up. Alireza Jafarzadeh: Comes in January, 2007. 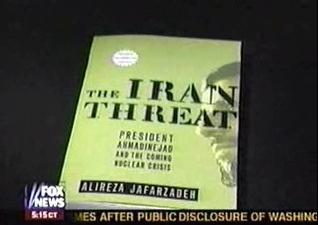 Shepard Smith: It’s called The Iran Threat: President Ahmadinejad and the Coming Nuclear Crisis. The crisis is upon us. The book is here in January. Alireza, good to see you. Alireza Jafarzadeh: Thank you, great pleasure to be on your show. Shepard. Chris Wallace: The State Department today dismissed a letter to the American people from Iranian President Ahmadinejad as “a stunt.” In the letter, Iran’s leader asserts his country has much in common with America, including ideals such as compassion and a quest for justice, but he attempts to draw some differences between the American people and their government. Correspondent Eric Shawn has more. Those are the words of Iranian President Mahmoud Ahmadinejad in an open letter to the American people. The five page missive is addressed to “noble Americans.” Ahmadinejad writes that US troops should leave Iraq and he blasts Bush Administration policies. He claims that “American soldiers often wonder why they have been sent to Iraq” and calls the war a military misadventure. But not addressed is Iran’s support of terrorism, nor Iran’s continued defiance of the United Nations Security Council on Tehran’s’ growing nuclear program. Iranian leader slams American policy on Israel, calling it “blind and blanket support for the Zionist regime” and he says that he laments the “pain and misery of the Palestinian people” whom he calls the rightful owners of the land of Palestine. He writes “the global position of the United States is in all probability weakened because the administration has continued to resort to force to conceal the truth and to mislead the American people about its policy and practices.” Undoubtedly the American people are not satisfied with this behavior and they showed their discontent in the recent elections. On Iraq, he says “would it not be more beneficial to bring the US officers and soldiers home, and to spend the astronomical US military expenditures in Iraq for the welfare and prosperity of the American people?” At the UN, US Ambassador John Bolton thinks the letter is really aimed at swaying American public opinion. John Bolton: This American person hasn’t seen it yet, and I know you and the press have it, but maybe that’s who he’s really addressing the letter to. Eric Shawn: Alireza Jafarzadeh, who authored an upcoming book about Ahmadinejad, says that the letter is merely hypocritical propaganda. Alireza Jafarzadeh: The real target is not the American people; the real target is the international community. He’s trying to communicate this false impression that he’s ready to talk. Eric Shawn: In May, Ahmadinejad released a rambling 18 page letter to President Bush which went unanswered, but Americans are already answering this one back by flooding foxnews.com. Responses range from “your letter is a lie” to “some of what you say has merit” to “thank you, Mahmoud; your letter has just confirmed that you and your terrorist kind need to be dealt with immediately” to “we see you for what you are: a fruit cake.” In New York, Eric Shawn, Fox News. -Is Iran Enriching Uranium For Peaceful Purposes? -Is US Planning to Attack Iran's Nuclear Sites? -Is Iran Building Secret Tunnels and Expanding Nuclear Program? -Is Iran Nuke Program More Advanced Than We Thought? -Do Satellite Photos Prove Iran is Creating Nuke Weapons?